Kristy Lee Gildner was one of two people to take home the top prize in this year’s Boulder City Review Christmas Cookie Contest. 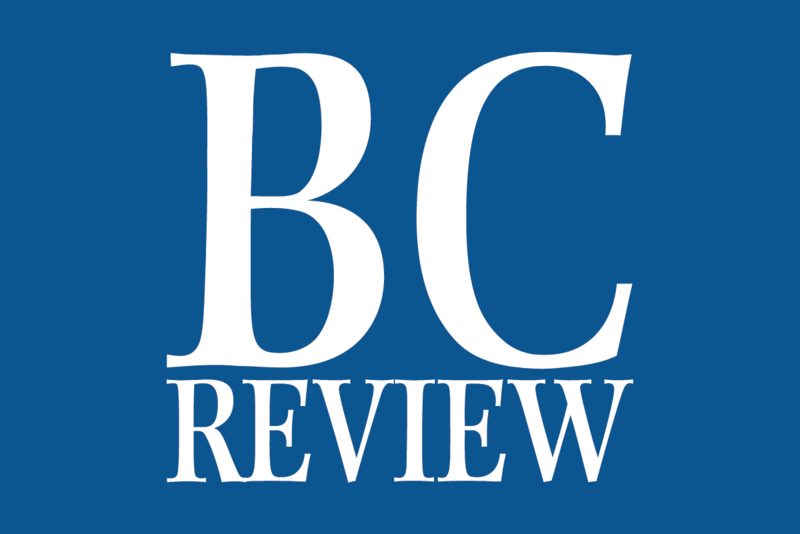 Celia Shortt Goodyear/Boulder City Review Kristy Lee Gildner tied for first place for her turtle cookies and won third place for her hot chocolate cookies she entered in this year's Boulder City Review Christmas Cookie Contest. Hali Bernstein Saylor/Boulder City Review Kristy Lee Gildner's turtle cookies tied for first place in this year's Boulder City Review Christmas Cookie Contest. 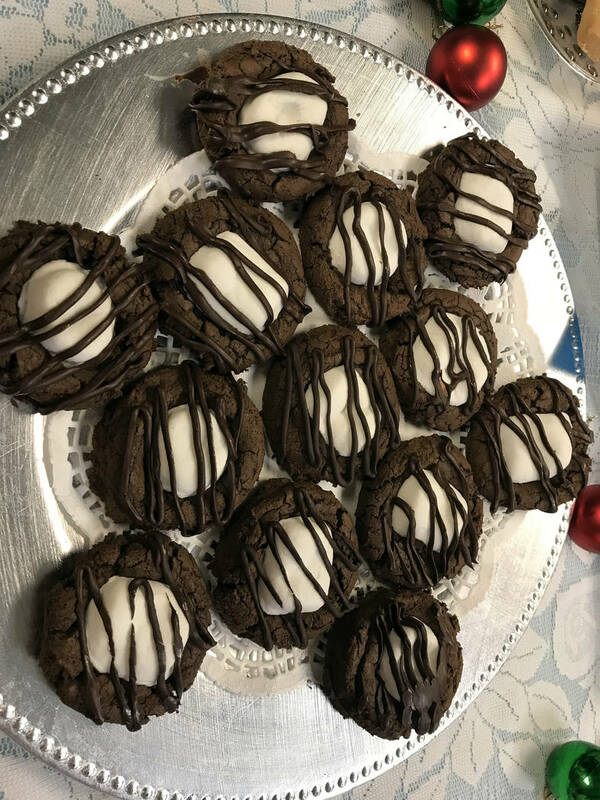 Hali Bernstein Saylor/Boulder City Review Kristy Lee Gildner's hot chocolate cookies earned third place in this year's Boulder City Review Christmas Cookie Contest. Her turtle cookies tied for first place, and she also earned third place for her hot chocolate cookies. “We always do holiday baking every year,” Gildner said of her family’s long-standing tradition. Each year, they make holiday plates with several types of cookies and treats for their friends. Gildner said she has been making them since she was a child, and this year she’s a taking a larger role with the project and making them a tradition for her children, too. “I’m in charge of them this year,” she said. She and her 2-year-old daughter Dallas and 5-year-old son Parker were looking online for new recipes to try for the plates, and they found the turtle cookies and hot chocolate cookies. So they all decided to try them. 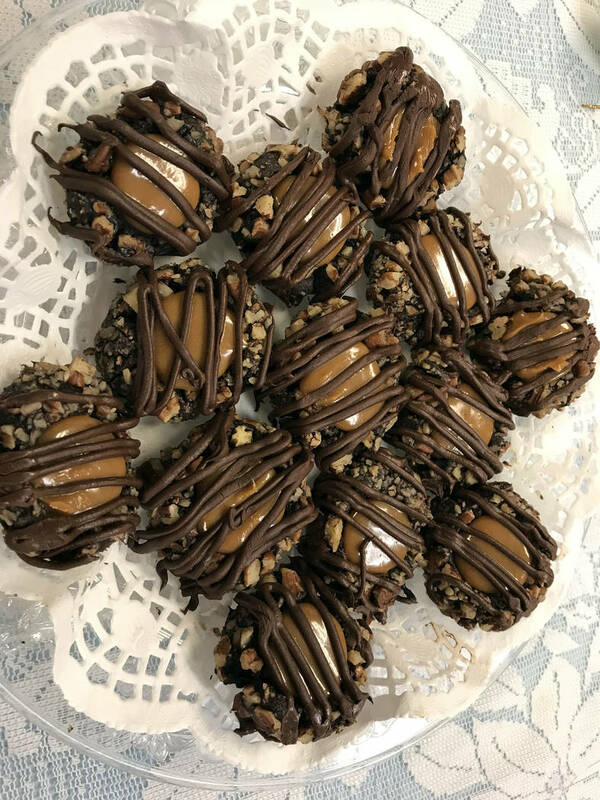 Even though they entered both in the contest, Gildner said they will use the hot chocolate cookies for this year’s plates as well as the usual chocolate macaroons, pecan bars, caramel corn and mint bars. 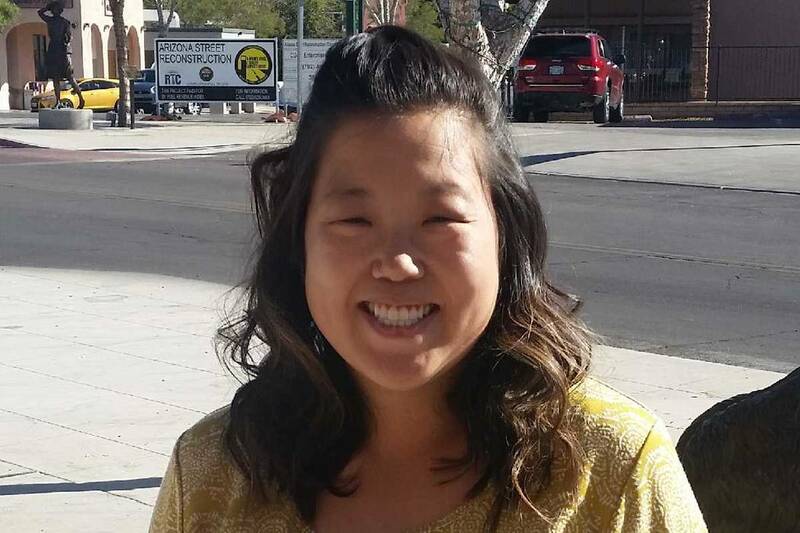 She and her children live with her parents in Boulder City. Gildner also attends Grace Community Church and bakes for its annual Country Store fundraiser. Combine cocoa, flour and salt. Set aside. In another bowl, with a mixer combine the butter and sugar. Mix about two minutes. Add egg yolk, milk and vanilla. Mix until incorporated. Then add flour and mix until combined. Wrap dough in plastic wrap and refrigerate until firm, about one hour. Whisk egg whites in bowl until frothy. Placed chopped pecans in another bowl. Roll chilled dough into 1-inch balls, roll in egg whites and then roll in pecans. Place on a baking sheet and make a ½ teaspoon indentation in the center of each ball. Microwave the caramel and cream together, stirring occasionally until smooth, about one to two minutes. Once cookies come out of the oven, gently repress indentations. Fill each indentation with ½ teaspoon of the caramel mixture. Cool for 10 minutes and transfer to a rack to cool completely. Place chocolate and butter in a zippered bag. Set in a bowl of warm water to soften. Once chocolate is melted, snip a hole in the corner and drizzle over the cookies. In a medium, microwave-safe bowl, add chocolate chips and butter. Microwave one minute; check and stir. Continue in 15 second intervals until chocolate is melted. In a large bowl, add brown sugar, eggs and vanilla. Beat with a mixer for one minute on medium speed. Add cooled chocolate mixture and beat on medium speed until combined, about one minute. Scrape down the sides. Add cocoa powder, flour, baking powder and salt. Mix until combined, scraping down the sides as you mix. Cover and refrigerate for at least one hour until dough has firmed up. Preheat oven to 325 F. Line a baking sheet or spray with nonstick cooking spray. Using a two-tablespoon scoop, form dough mounds and place about two inches apart on baking sheet. Flatten slightly and bake for 10 minutes, until edges and tops have set. Remove from oven. Add a piece of chocolate in the center of the cookie, top with a marshmallow half on top of the chocolate and press down to adhere chocolate to marshmallow. Return cookies to the oven and bake for about another five minutes, until marshmallows have puffed. Let cool on a cooling rack. Make chocolate drizzle. Place chocolate and butter in a zippered bag, place in a glass of hot water and let sit for two to three minutes. Once chocolate is melted, snip a corner of the end of the bag and drizzle over cookies.